This is a post that could save your next trip to that store that you want to go to but your kids could do without (but they have to go anyway…). 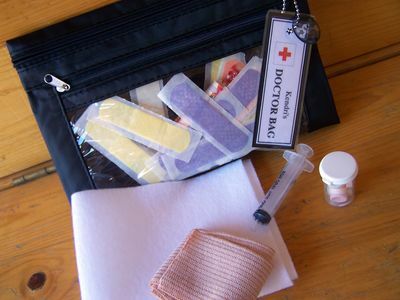 These are instructions for how to put together a doctor kit out stuff around your house. I love the idea – making something out of things around the house. There is a great list of what to include, but I imagine just scrounging around your bathroom and house you could find a whole bag worth of stuff.